The Sachtler DV-12 ENG Carbon Fiber Tripod System provides frictionless drag for perfect and fast panning. It sports a touch-and-go release between your camera and the tripod head and the camera mount plate has a 2.8" sliding range for optimal balancing. The tripod is designed for security at any shooting angle thanks to a 12-step dynamic counterbalance system. It is ideal for precision shooting at events, ceremonies, and for documentary work. 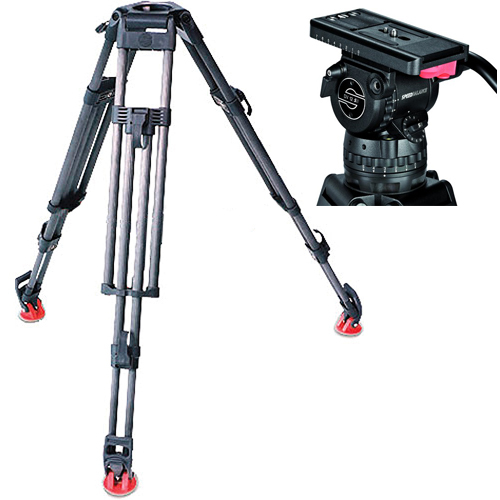 • The Sachtler DV-12 ENG Carbon Fiber Tripod System has a 100mm Bowl Based Tripod Head and Legs.